As Thanksgiving arrives, holiday programming will transform UP into "America's Christmas Channel," with over 40 days of uplifting holiday movies, Christmas specials, music and marathons with some of television's most beloved family-favorite series. The network's slate of family-friendly holiday programming launches Monday, November 18 and runs through Tuesday, December 31, 2013. Highlights include exclusive world premieres and UP Original Movies, including Marry Me For Christmas, Guess Who's Coming to Christmas, Silver Bells, 3 Day Christmas, Angel in the House, Christmas For A Dollar, Thomas Kinkade's Christmas Miracle, and the UP Original Christmas Special K-LOVE Music City Christmas Special. In addition, UP will bring back the popular, family-favorite "My Big Fat Waltons Thanksgiving" marathon followed by the exclusive network presentation of the classic family film that started it all – The Homecoming: A Christmas Story. Classic movies and series episodes from The Waltons will entertain families on Thanksgiving Day and night: "The Thanksgiving Story" (1 p.m.), "Day for Thanks on Waltons Mountain" (3 p.m.), "A Waltons Thanksgiving Reunion" (5 p.m.), "The Homecoming: A Christmas Story" (7 and 9:10 p.m.) and "The Best Christmas" (1 a.m.). Some of the stars on UP original movies include George Newbern, Megyn Price, Taylor Spreitler, Corbin Bernsen, Toni Collette, Hayley Mills and Drew Lachey. 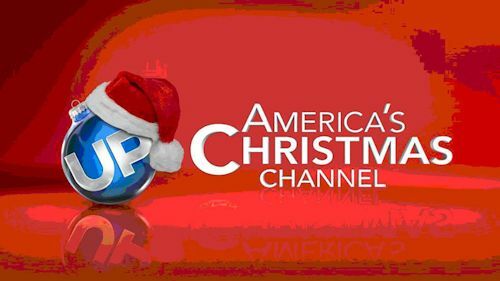 Stay with us for continued updates and if any other sitcom/TV marathons are announced for UP's Christmas programming. Beginning October 21, 2013 every Monday-Friday we will get "more power" with Tim The Toolman and company! 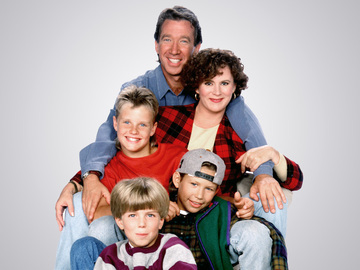 Another hour of Home Improvement will be added to the line-up, so now we will get three-hours of Tim Allen and the gang. The series is currently airing weekdays from 2-4pm, but the 1-2pm hour will now be added. The newly added hour will replace an encore of syndicated talk show The Better Show. That show will still air originals weekdays at noon (well, day after airings from syndication). No other schedule changes will be made, so the rest of the line-up will remain the same as the changes from Oct. 7.